Would you like more customers in your restaurant? 1) Creating Facebook page: You can place ads on Facebook to reach people who work at specific companies or students at the local university. Facebook is very effective as you can target a wide range of audience. 2) Branding yourself: Your restaurant can become a powerful brand when you deliver your promise to customers. It is only then that they begin to expect high standards that are associated with their brand. Also consistency is critical for brand sustenance. 3) Employing signage: Creating Pamphlets, Booklets, hoardings at crowded places can make an impact on customers and ensure success. 4) Using flyers: Make sure that customers know about the opening of your restaurant. Then give customers 10%-15% discounts when they try your restaurant cuisines. 5) SMS: You should sms your existing customers on a daily or weekly basis to get them in. 6) Creating best website design: You can design a simple website that will show your menu, the kind of payment you accept, the operating hours, your restaurant concept, discount coupons and posts containing important information for the customers. For example, restaurants like Punjabi By nature have a fully designed website where they provide all the information regarding their restaurant. 7) Involving web and email alerts: Web and emails are the cheapest and effective marketing strategy to reach the target market easily. You can bring out new promotions and discount coupons, newsletters and posts containing articles and content that can be informative for the readers. Domino’s started message and email alert policy for the promotion of their restaurant. 8) Innovating sales blitzkrieg: Make your staff go out to local businesses and hand out a flyer, business card or free appetizer card to secretaries, clerks or anyone else they can talk to. You should buy your employees lunch, give them money for mileage and put a prize for the best sales calls and offer prizes. You will be amazed at the success this new business will generate. 9) Bringing out loyalty programs: Give customers some discounts when they buy more than 9 items from your restaurant. 10) Giving promotions to diners: You can offer special themed dinners, guided wine and cheese tastings and other fun events. This will give people a reason to come to the restaurant on a usually slow night. 11) Inventing contests: You can bring out innovative ideas by collecting visiting cards or their address for conducting lucky draws. This way you will have a database of customers. 12) Recruiting customers for a street team: This is another cheaper way to promote your restaurant. You can recruit customers to write blog, reviews, etc. on your website. This can also act as affective word-of-mouth. 13) Sending out creative press releases: You can use the release to announce information to the public, your investors, the media, your customers and even your competitors about you and your activities. Try building contact with the public relation agencies and groups as they are the one who will advertise about you through different Newspapers, Magazines, etc. Restaurant like, MC Donald’s, KFC, and other national and international brand advertise themselves through paid articles in media. 14) Knowing the customer: Getting along with your customer will give you a clear picture of their wants and needs – their food habits, the trends they are most attracted to, the times they prefer to visit the restaurant in a week or two. MC Donald’s launched their restaurant according to the Indian palate; they provide burgers with Indian masala, like aaloo-tikki burger, etc. 15) Remembering customer's birthdays: You can ask your customer to fill out forms which details their birthdays and anniversaries. You can then send them freebies on these special occasions to make them feel special and get them into your business. When several people celebrate the event, start collecting information about your customers, e.g. their email address to begin an online relationship. 16) Stressing on hygiene: This is one of the first things that customers will observe in your restaurant. So your marketing message must include hygiene and freshness as top priority. 17) Extending great customer service: Ask your employees to treat each customer with warmth and graciousness. This in itself promotes your restaurant through word-of-mouth. 18) Organising programs in your restaurant: Try to arrange parties in your restaurant to bring to public notice. Organise parties like birthday parties, kitty parties, and business seminars and functions. It will advertise your restaurant as much as possible. Many restaurants have started working on it to gain public interest. 19) Working on takeout and delivery systems: Takeout and delivery system would also help as an effective marketing tips. Giving brochures, pamphlets and leaflets with the order would give detailed information about your restaurant. 20) Taking the green initiative: You must install flow restrictor on the faucets, get rid of the items which are not bio degradable and also purchase sustainable food for your restaurant. 21) Starting novel affinity programs: You should go for affinity marketing programs that would help to tie the restaurant with other leading brands for combined promotions. 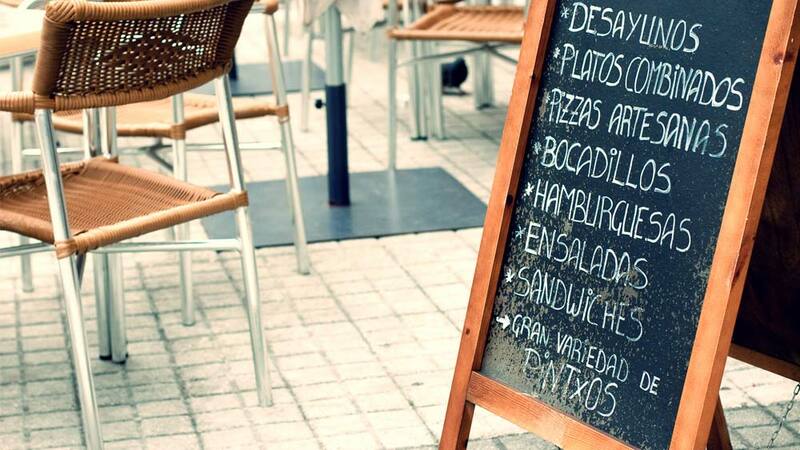 With so many restaurants coming up, trying such simple means to attract customers would yield positive results. 22) Having a nose for the competitors: Follow your competitors: what marketing strategies are they offering; how are they branding their products; what special offers are they providing to advertise about their foods, to name a few. This inquisitiveness will give you a direction. The best example is the competitive nature between Pizza Hut and Domino’s. No sooner does one change some menu style the other gives an equal tweak to the menu. 23) Never sit back: All your marketing efforts will not achieve results if after the initial steps, no follow-up strategies are implemented. You need to ensure that every few months a revision in the menu is done and invites are sent out to everyone you meet to try new additions for free or at 50% off the menu, etc. This will help to keep up the restaurant’s popularity intact. Successful restaurant marketing will reflect in higher sales and bring in a loyal clientele of customers (new or repeat). This will help in making your restaurant successful.